Small and mid-sized businesses are cutting back even on hiring cheaper foreign laborers. 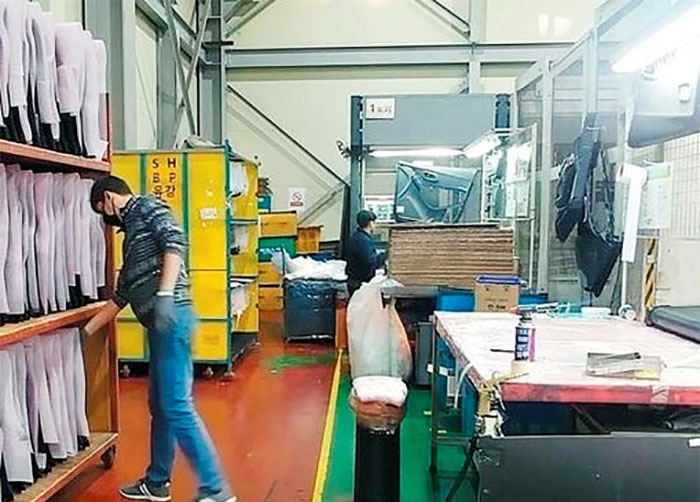 The Korea Federation of SMEs said last week that the application rate for migrant workers at small and mid-sized manufacturers stands at 140.2 percent this year, down 89.1 percentage points compared to 2017. Last year, demand for foreign laborers was about 2.3 times higher than the annual quota, but that fell to 1.4 times this year as the number of applying SMEs fell from around 35,000 to 25,000 over the same period. Some 9,783 businesses that had applied for a quota last year did not do so this year. Foreigners work at an auto part company in Incheon. The federation asked 577 of them about the reasons for their decision, and 38.3 percent cited the minimum wage hike and 24.1 percent deteriorating business. Only 14.7 percent said they had used up their quota and 6.2 percent cited they are unhappy with foreign workers. 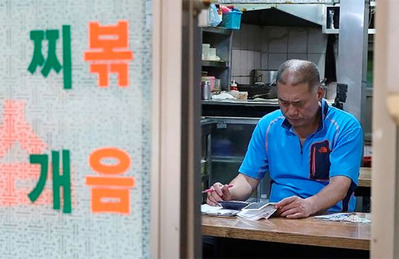 Lee Jae-won at the federation said, "Until last year, there was high demand for foreign workers among SMEs that are facing difficulties finding Korean workers, but overall hiring has shrunk this year."